Chemglass 3 4 5 & 6 Neck Round Bottom Distilling CG-1524 1532 Heavy Wall Flasks . New Life Scientific, Inc. 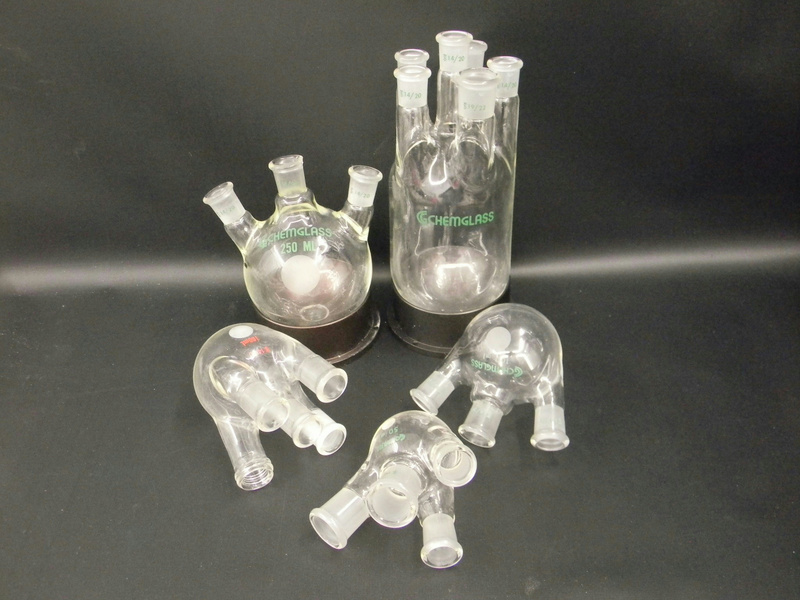 These are a set of 5 assorted used flasks from a Mettler Toledo MultiMax System. Only one has a chip in the rim as shown in the pictures in the photo gallery, the rest are in excellent condition. Total retail price $423.45 -- Buy now and save.